The complexity of modern supply chains and their critical role have businesses and governments increasingly concerned about managing major disruptions. This calls for a better resiliency strategy that includes building agile, transparent and diversified systems. To meet these objectives, risk management must be an explicit and integral part of supply chain governance. 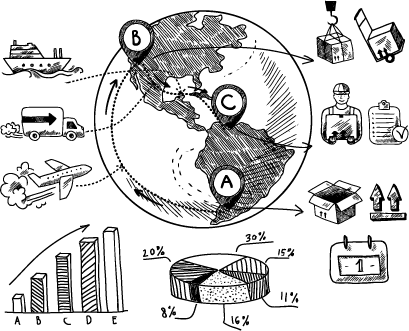 Supply chains are backbones of the global economy. Supply chain management software and improved processes have allowed organizations to expand supply chains to compete in the global market and digital economy. While efficiency gains have helped industries to do more for less, expand on demand, and optimize cost, as well as provision and operate on time. URM Group helps supply chain stakeholders achieve better preparedness and transparency so plans can be executed to control the risks that often precipitate major supply chain disruptions. The goal of supply chain management is to reduce supply chain vulnerabilities via a coordinated holistic approach, involving all supply chain stakeholders, sourcing and processes. With an end goal of identifying and analyzing the risk of failure points within the supply chain. The metrics supported by X-Act OBC Platform help our clients uncover risks that other SCM tools miss by using mathematical emulation to expose the risk of failure points caused by dynamic complexity. 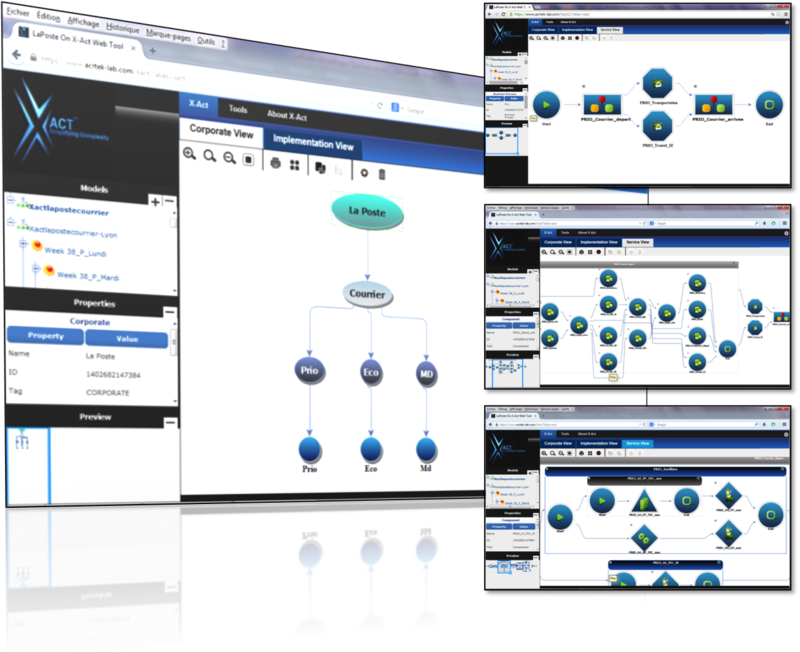 The end-to-end modeling capabilities and metrics offered through X-Act OBC Platform help supply chain stakeholders evaluate remedial options and make decisions with full confidence in the outcome. Supply chain risk mitigation plans can involve logistics, finance and risk management disciplines with the ultimate goal being to ensure supply chain continuity in the event of a scenario, which otherwise could have interrupted normal business and thereby profitability. With reliable foresight into the factors that cause cost inflation, reduce throughput or diminish quality, companies use the X-Act OBC Platform to create a change program that will measurably improve production efficiency, provide cost savings benefits and meet long-term high performance objectives. In much the same way CAD/CAM is used in engineering and design, X-Act OBC Platform allows users to test ideas, validate plans and build operational models to perfect strategies before any investments are made. 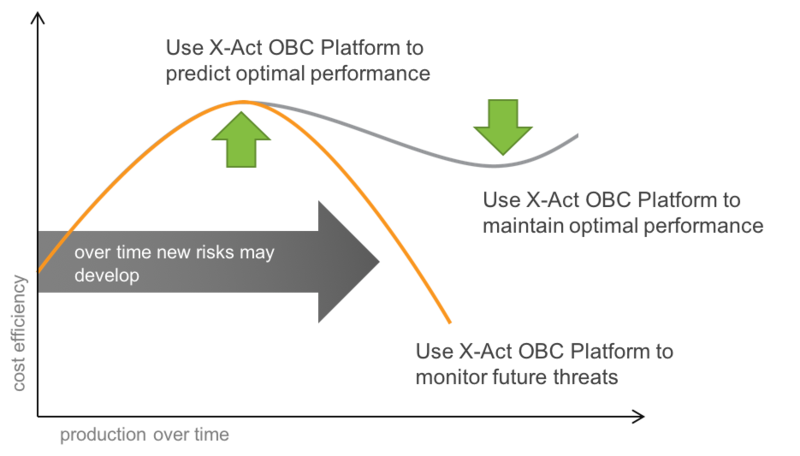 Throughout the supply chain lifecycle, X-Act OBC Platform can be used to discover operational risks and provide options for mitigation.